Notes: These shorts are not currently released on Blu-ray in North America. They are currently only available on DVD and this disc is the only release currently in print. 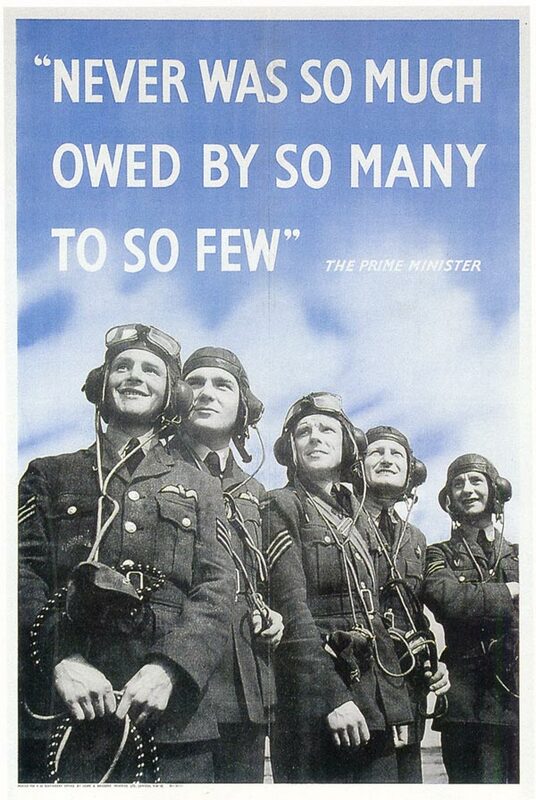 In 1943, the British government took him up on this offer. Selznick was a bit reluctant to allow his meal ticket to leave for England, but the producer eventually allowed the director to leave under the condition that he would work on the scenario for their next collaboration (which was based on Francis Beeding’s novel, “The House of Doctor Edwardes”). 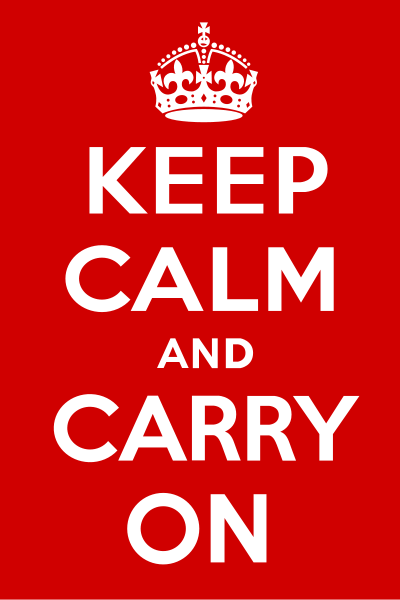 The British Ministry of Information was responsible for releasing information to the public that would benefit the war effort (and suppressing any information from the British public that might damage moral). This department is responsible for several infamous moral boosting posters, which were distributed around the country. Hitchcock’s shorts were to be the cinematic equivalent of these posters and the director seemed more than pleased to make them. After his extremely uncomfortable voyage to his home country, Hitchcock was able to begin work on the shorts. 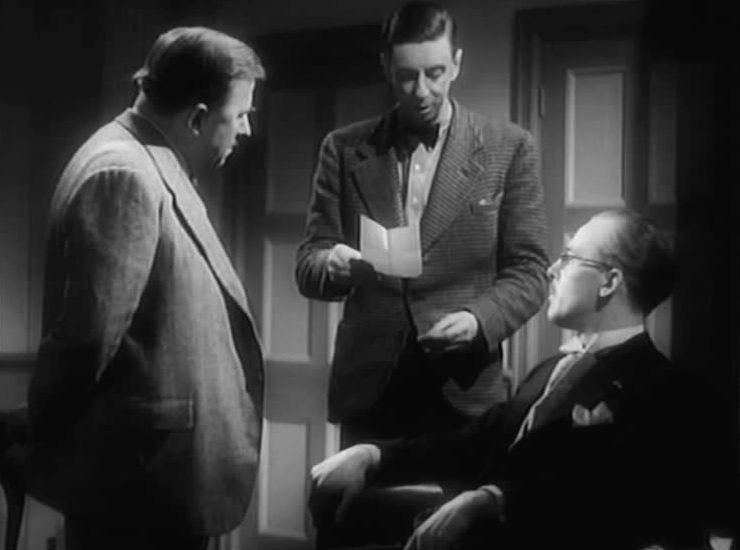 The details of the scenarios were worked out by Hitchcock and his long-time associate, Angus McPhail in Hitchcock’s suite at Claridge’s. 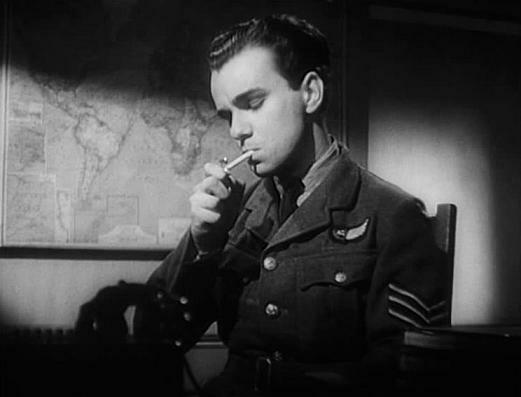 Bon Voyage was then scripted by Arthur Calder-Marshall and Aventure Malgache was primarily the work of J.O.C. Orton. Claude Dauphin helped the writers with the french dialogue. Stages for the shorts were built at the Associated British Studios at Welwyn Garden City with very little money. 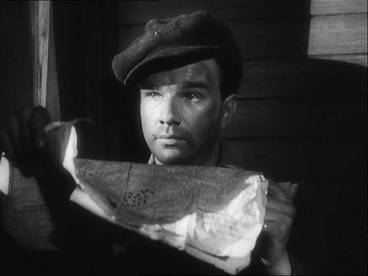 Hitchcock and his cinematographer, Günther Krampf, began shooting the the two shorts in extremely quick succession on January20, 1944. What modern audiences might fail to notice, is the meticulous war-time detail given to the film. 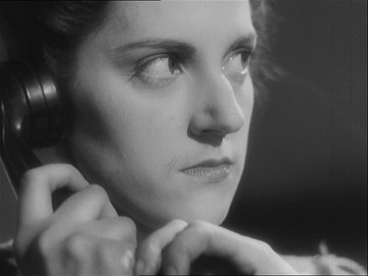 Several French Resistance members were brought in as consultants in order to make sure there were no errors in the production. There were other such examples given as well. Bon Voyage has a structure somewhat like Akira Kurosawa’s Rashomon (and predates the film by several years). This is merely an observation and should not be interpreted as a suggestion that Kurosawa was influenced by the film in any way. As a matter of fact, there is almost no chance that he was even able to see the film. However, the story also brings to mind some of the more interesting Alfred Hitchcock Presents episodes and one wonders if the short provided a blueprint for the series. The only certainty is that working on the short directly influenced Aventure Malgache. Hitchcock’s recollection was quite accurate. The powers that be decided not to release the film. It was decided that a film showing the ineffectiveness of political squabbling didn’t make for effective propaganda during wartime. They simply weren’t interested in honesty or important sociopolitical messages. 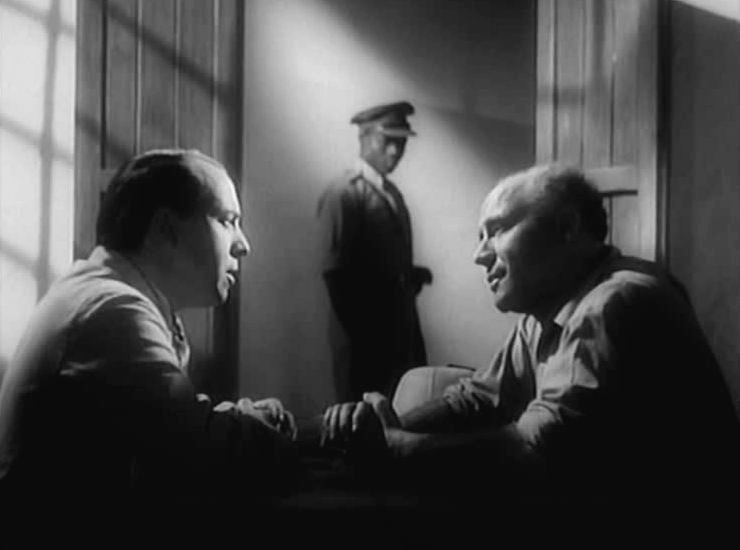 Hitchcock’s film illuminated issues that the MOI usually tried to suppress. The film was locked away and was actually censored by those who financed the film, calling it “inflammatory.” Bon Voyage received an extremely limited release. It was distributed in France and Belgium for a very short time. The films were eventually locked away, and they remained unseen until 1993. 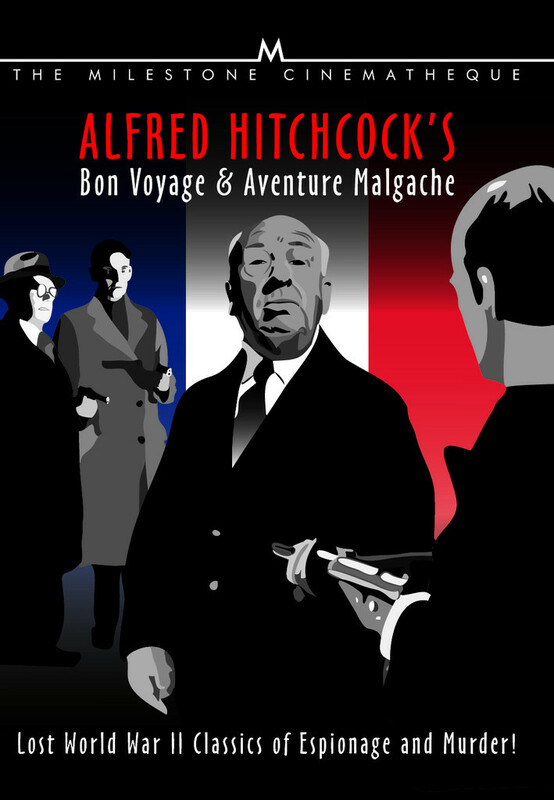 Today, they are seen as an important part of Alfred Hitchcock’s canon. The disc is contained in the standard DVD case with reasonably attractive cover art. On the back there is a brief history and a summary of both shorts. The disc includes only chapter menus. The film is only available on DVD in North America. The image is serviceable and probably a slight improvement on Image Entertainment’s disc, which is now out of print. It is slightly disappointing that the subtitles are hard coded, but this is forgivable under the circumstances. The quality is slightly better than what one might expect from some of the public domain houses, but might not live up to some of the more impressive DVD releases that modern audiences are accustomed to. The disc features an adequate mono soundtrack. There is some very slight hiss, but the track is consistently clear and dialogue is always intelligible. There are no special features available on this disc. In short, Milestone Films deserves praise for making otherwise unattainable films available to the public. I recommend this disc to Hitchcock fans, but hope that these films eventually receive a quality Blu-ray release.